Remember those awesome Pikmin cartoons? 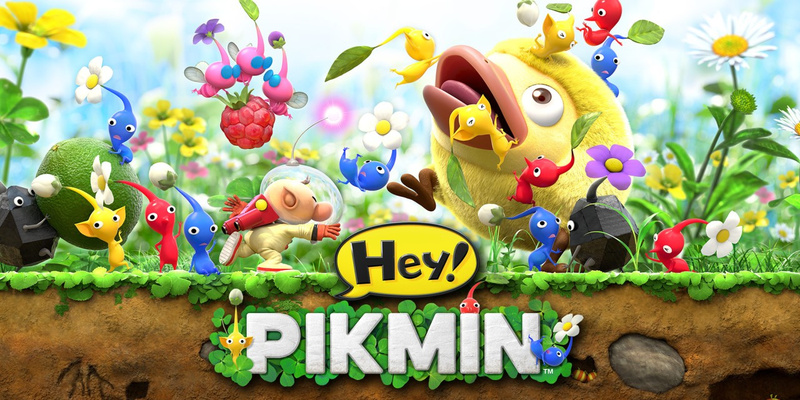 Though there’s still lots of mystery around what exactly is going on with Pikmin 4 behind closed doors at Nintendo HQ, fans of the series can at least rest easy knowing that the 2D spin-off Hey! Pikmin is only about a month away from seeing a release on the 3DS. Given that Arzest is the studio behind this one, some fans are a bit concerned as to whether this one will be any good, but much of the footage that Nintendo has released thus far seems promising at the very least. I guess I'll be getting these as there is NOTHING else worth getting and my points are all gonna be expired soon. I mean, I'd rather spend coins (that will expire) on these shorts as opposed to $4.99. Those shorts are stupid adorable. I remember when Europe got the Pikmin Short Movie rewards last month and I was so jealous. Well, better late than never. I got the shorts when they were first released on the e-shop... I've loved Pikmin ever since my friend lent me the first game... it's one of the few games that I'm happy to replay multiple times. Even the new game... I'm not that interested in side-scrollers usually, but having tried the demo, the new game looks great... I can't wait. "Remember those awesome Pikmin cartoons?" If so, then you probably have them already. Well, I like that these are an option for those who don't have them. They are adorable little shorts. Brings back memories. I am not into Pikmin, just never played the games, but I picked it up to see the shorts, and the Flipnote storyboards. I think it's rather telling that Nintendo did not show Hey! Pikmin at E3. I am willing to bet that it's less than "Nintendo Quality." I'll be dusting off the Wii U soon to replay metroid prime, so will probably get the movies. A side note: having played the demo, Hey Pikmin seems a lot like chibi robo zip lash which was painfully mediocre. I bought the Pikmin shorts back when they first came out and I love them. My kids and I have watched them several times. I really hope Nintendo makes more of them eventually. @jswhitfield8 I'm due to play some Metriod Prime soon too, happy gaming! Some days I wish I didn't dislike pikmin. Perhaps good news for others? Is there anything left to do in MyNintendo at this point? There's nothing for me at least. I have 3000 Plat Points and they're all going to waste every month as a few get expired with no use due to Nintendo not doing anything for the platform. They better introduce more rewards, or no one will use it at this rate. Hmmm, this is surprisingly positive. I think I'll get those shorts on 3DS. Would have much preferred the movies to use platinum points. Or better yet, make a way to exchange platinum points for gold points. Roughly 1 gold = 10 platinum, right? I wouldn't even mind a convenience fee like 120 platinum for 10 gold (though of course would prefer direct conversion, no fee). I doubt I'll ever even watch these things but might as well pick them up, I've got a ton of Gold coins that by all signs would never be used otherwise. Eh, I think I'll save my gold coins for a rainy day...provided they don't expire by then. Something to waste my coins. Besides this videos cost more since Switch launch. So getting them free is better to pay the increased price.